More than at any other point in history, the need to travel for business or pleasure is really taking off. To accommodate for this, many airlines have come out of nowhere to become market leaders. Every day it seems like a new airline merger is in the works. In the last five years alone, 4 major airlines have merged. All of this competition for market share and your business is good for you. Why? Frequent flyer program competition. If I told you 20 years ago that you could earn frequent flier miles without flying, you would have called me crazy. Today, that’s not only the reality, it’s the norm. By getting approved for special travel rewards credit cards, you can easily add miles to the airline of your choice. Here are five simple ways that you can earn airline miles without even flying on a plane. Partnerships – Most airlines partner with other travel companies to offer you additional rewards. These can include rental car companies, hotels, restaurants, entertainment venues and more. For example, Delta has a partnership with Hertz where you can earn extra miles by renting a car from them. Check with your card to see what benefits are offered. Promotions – From time to time, the travel card runs promotions with select retailers. If you buy something from them during the promotional period, you can earn extra miles for the purchases you make. The Online Shopping Portal – Most of the travel cards or airlines have a special dedicated website that is a shopping portal. You can shop through this portal to several retailers and earn additional miles for just being referred through the portal. The rewards can be an extra 100, 500 or even double miles depending on the retail partner and the airline or travel card you use. Newsletter – Every one of these companies publish a newsletter regularly. It can be published weekly, monthly or even daily depending on the rewards program. This newsletter highlights all the promotional deals that are currently being offered. Not only can this help you to take advantage of earning extra points, you can get a lot of bonus miles for just signing up to receive the newsletter. Marketing – The airlines and credit card companies want you to help them market their products by leaving positive reviews and sharing their products with your friends. A simple Facebook like can get you a free 500 miles. Other offers can include rewards for tweets or blog comments. See if your rewards program has incentives for helping them market their products. 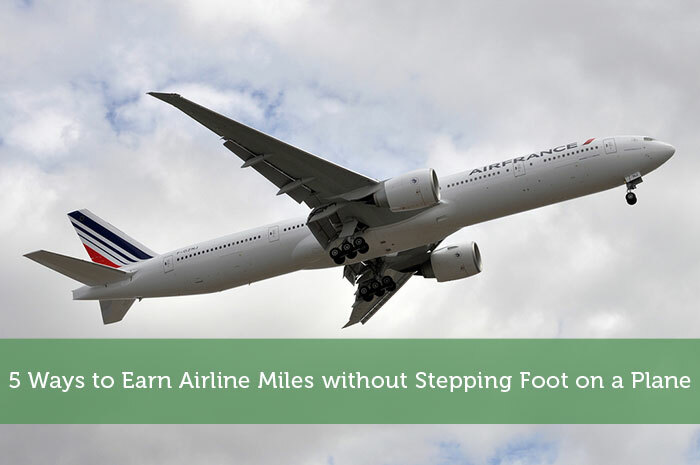 As you can see, there are many simple ways to earn additional miles with your airline of choice, all you need to do is some research on what types of credit cards your airline has to offer and study its benefits. Whichever card you choose, I’m confident that you’ll be racking up the miles in no time. I rack up my miles by using my capital one business credit card to pay for my search engine marketing/ppc and everything else really. Since I spend a lot of money on ppc and my card gives me 2 miles per dollar spent, my miles really rack up quickly!